Phew! I’ve been locked out of my website for a while. It’s good to be back. 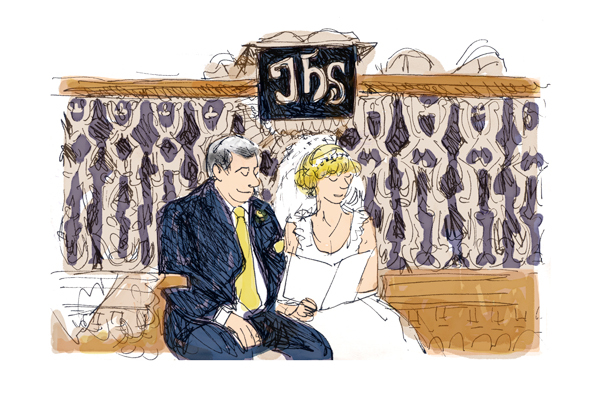 I’ve been at a few weddings this year, some of them commissions, some of them sketching surreptitiously in a pew. 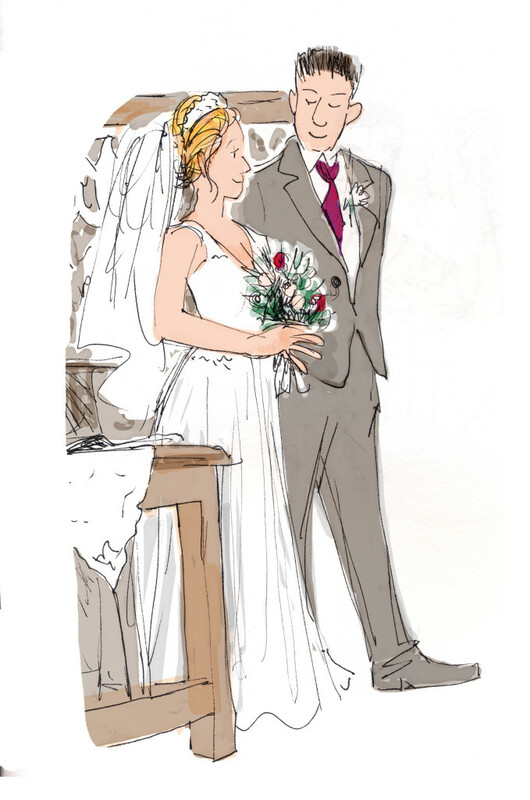 This is Kelly and Steve, who got married at my church in July. Kelly is one of the happiest , positive, and ready to dance people I know, and it’s obvious how Steve appreciates her. 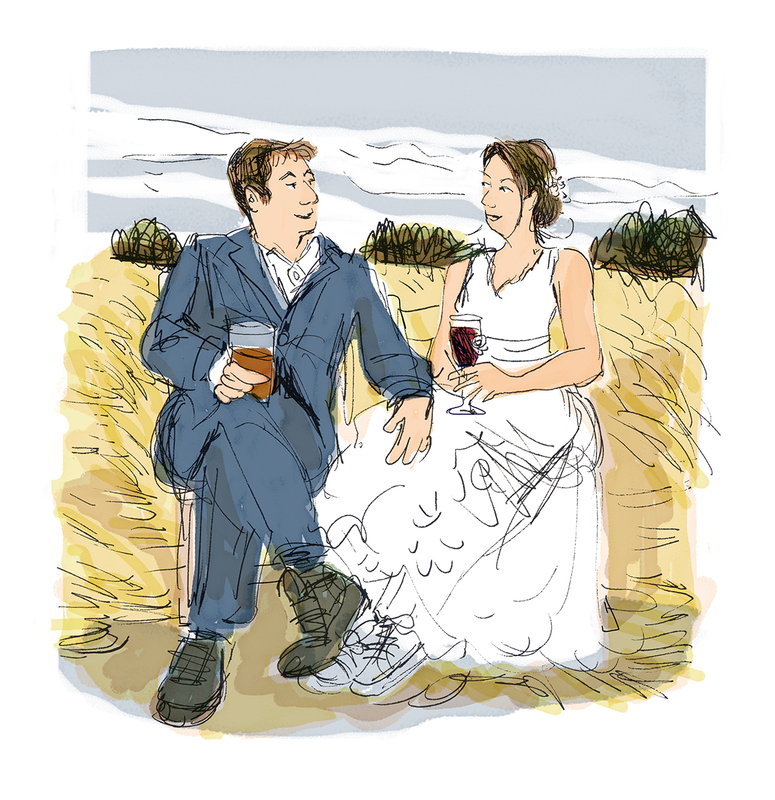 Chris and Sarah’s wedding was probably the most relaxed one I’ve been to, and involved lots of wellies, toddlers, dogs, and paddling. At the end of the day I realised there had been very little opportunity to draw the two of them together, so I got them to sit down for a minute with their drinks. 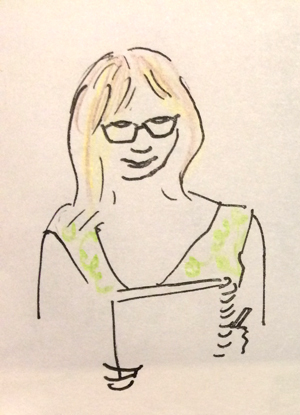 Finally, at the wedding I sketched at on Sunday, which you’ll see more of soon, there was another live sketcher lurking and this is her drawing of me! Maxine is the creator chaosbunny.com and if you’re looking for a live sketcher in or near Manchester I’m sure she could help you. More about my wedding sketching service here.